Premo as a whole has to be the most well known and loved of all the polymer clay brands. People love it for its soft properties and many different colors. I agree that it's a wonderful clay and that there are many different things to love about it. In this article I'll be discussing what's great about this polymer clay and why it's one of the best on the market. Also bear in mind that there are a few down sides that you should look out for. 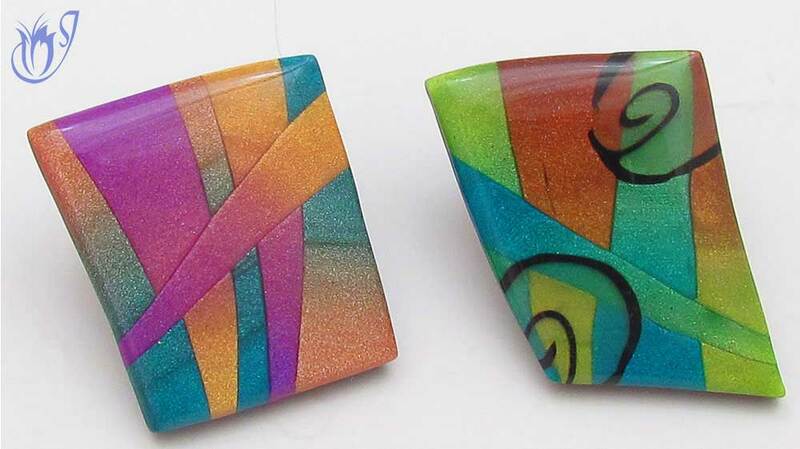 For more information on what problems you can expect from Premo polymer clay visit my article Painless Solutions to Premo Polymer Clays Flaws. The biggest up side to Premo is the fact that there are so many colors to choose from. The range includes many pastel colors and mica clays, as well as, special effect glow in the darks and glitters. You can use colors straight from the packet and don’t need to premix anything to get started with your polymer clay project. Once sanded and polished, the colors really shine and the clays containing mica particles take on a whole new dimension. 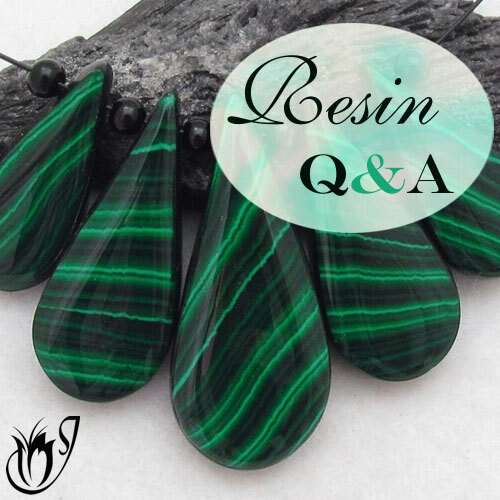 To bring out the best in your polymer clay jewelry, spend some time on the finishing process. It will make the colors come alive. Premo polymer clay is a good all-around clay. It's great for a wide range of different techniques - everything from skinner blends to charms. You can make just about anything with it other than canes. It holds its consistency rather well so it’s a great polymer clay for use in molds and for making detailed charms. Make sure that you spray the molds with water before you put in the clay. It will get stuck otherwise. Don’t use corn starch, because it can cause pits in the clay. Also, if it is in contact with the clay for too long, the cornstarch will start to leach the clay and it will become brittle. 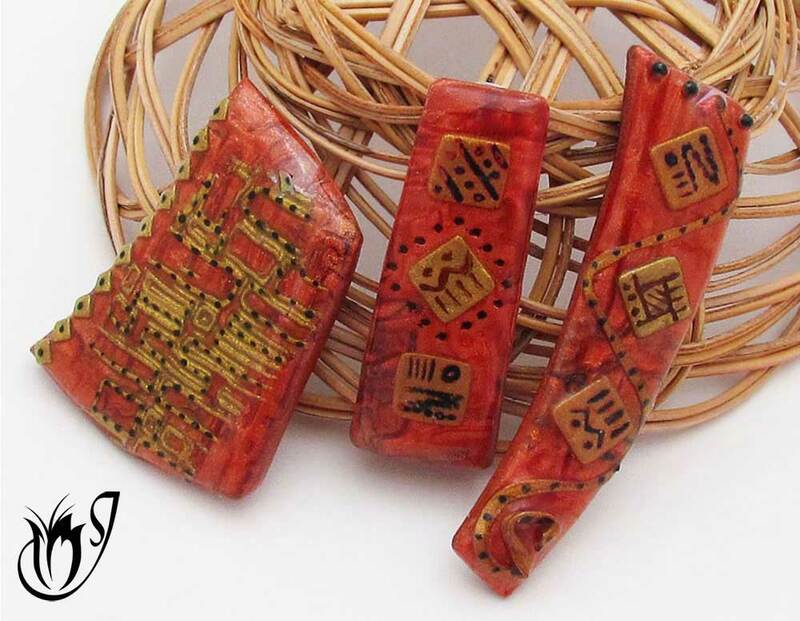 You can also make an array of interesting beads using the wide variety of different effect clays. The creation of new faux stones and shells is right at your fingertips. 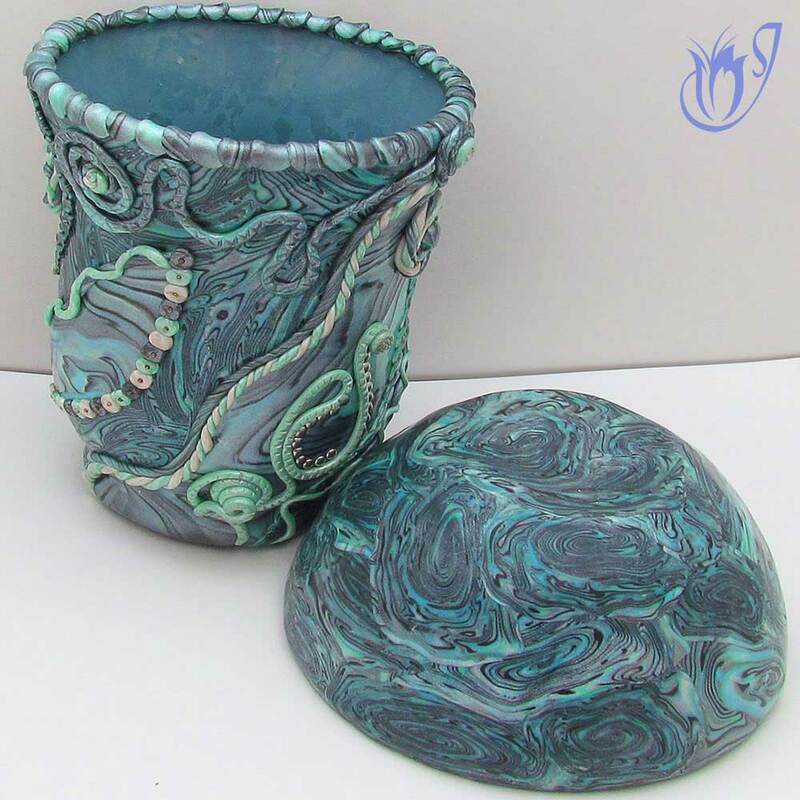 Premo is one of those polymer clays that is great in winter or in a cold climate. It remains soft and easy to work with in temperatures that would make other polymer clay as hard as ice. Fresh packets of Premo polymer clay will slide through your pasta machine as easy as silk even on the coldest days. It’s also great for people with weak hands or for little kids. You don’t even need to condition it really, although it's better if you do. You can just use it straight from the packet. Just a warning though. While Premo is wonderful to use when it's cold, it's a nightmare in the heat. Premo stands up to wear and tear very well as it’s so flexible and yet very strong. You can bend thin sheets as much as you want and they will take ages to break. 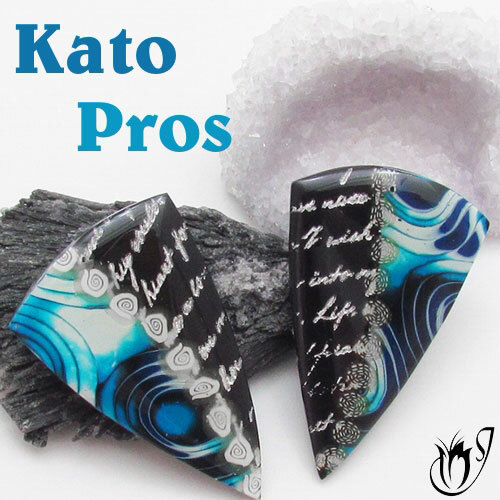 Thick sheets will be strong enough to rival Kato polymer clay in strength and will still remain fairly flexible. This makes it a great polymer clay to use when creating vases or decorating cutlery. Faux abalone jars using Premo. One of my favorite things about Premo is the translucent products. There are two types; Premo Translucent and Premo White Translucent. Premo’s translucents are great for creating faux stones and I use this clay almost every time I create a faux technique. Faux gemstones using Premo clay. 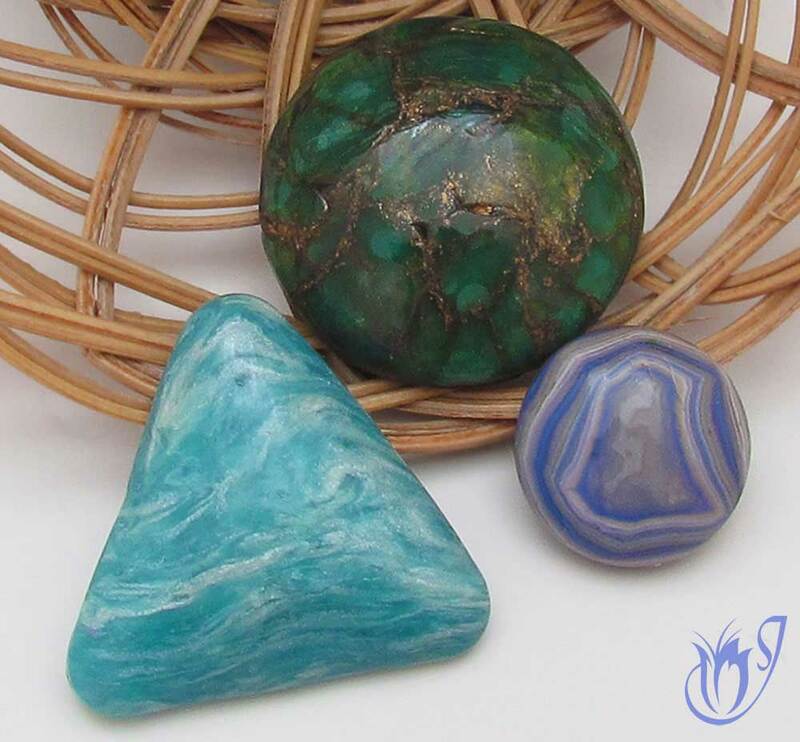 Faux amazonite (left), faux gold veined emerald (middle), faux blue lace agate (right). They're also great for using around the outside of canes. I use them to create a shape that’s easy to reduce while still keeping the shape of the original cane inside. Premo translucent is one of the more translucent clays, so when you put it in a cane, it won’t show up in the finished project as much as some other translucents do. Premo translucent has a bit of a yellowish tint to it in thick sheets, but if you roll it out thinly enough, it won’t show that hue. The Premo white translucent doesn’t have a yellow shade to it, but it has a few unexpected problems. 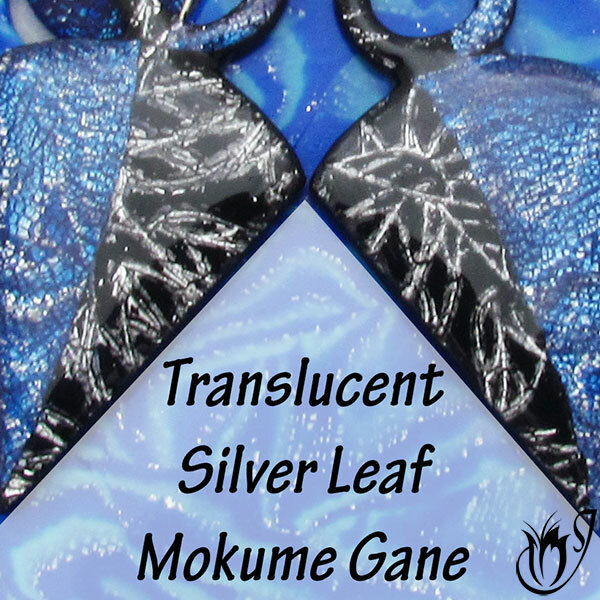 Go to Overview of Translucent Polymer Clays for a full run down of the advantages and disadvantages of the translucents of each polymer clay brand. In these cane examples you can see the translucent wrapping around the cane image. Although Premo definitely has a smell, it’s very mild compared to other brands of polymer clay and doesn’t bother people with even the most sensitive of noses. Some even say that it smells nice. It's an almost sweet smell with the hint of plastic in the background. So if you’ve had a bit of a bad experience with Kato’s smell, you might find that this polymer clay suits you better. The biggest upside to Premo polymer clay is it's vast array of colors. The range includes almost any color you could think of and there are a whole lot of bonus effect colors like opal, glitters, neons and glow-in-the-dark. Premo has almost no color shift between the raw and baked polymer clay provided you do protect it from scorching. 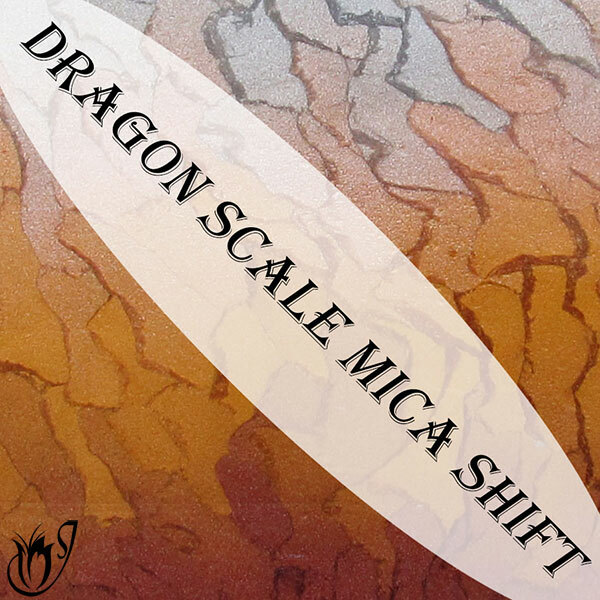 It's a great all round clay and you can use it for almost any polymer clay technique, from mokume gane to faux stones. Premo is the best polymer clay for people living in cold climates. It stays at a perfect consistency through temperatures that would make other brands unworkable. It has two types of translucents: Premo Translucent and Premo White Translucent. 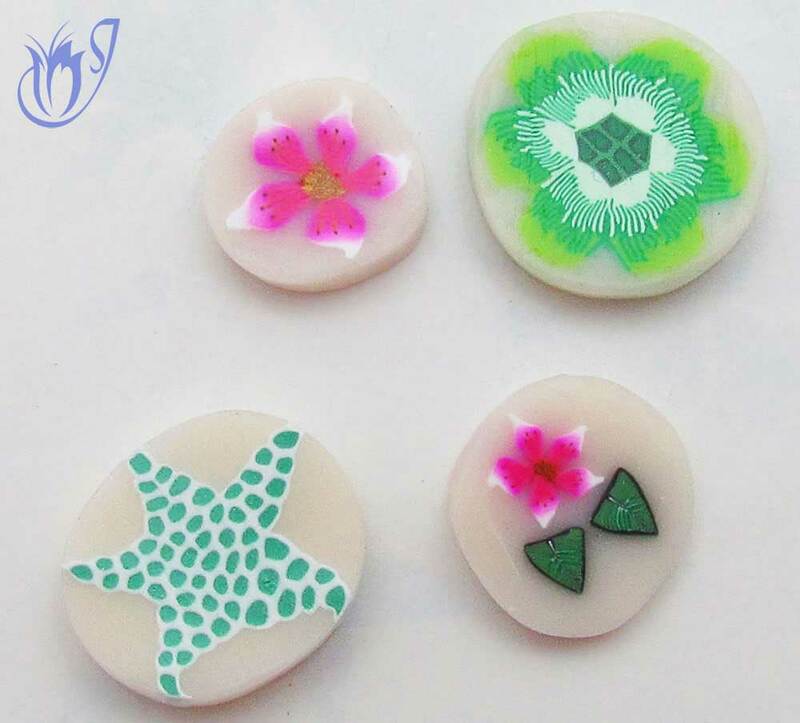 These can be used in many different polymer clay projects. Have you had trouble with Kato's smell? Well you won't have to worry about that with Premo as the clay hasn't got much of an odor. Some even say it smells nice. Aztec styled beads in Premo clay with paint and a resin finish. 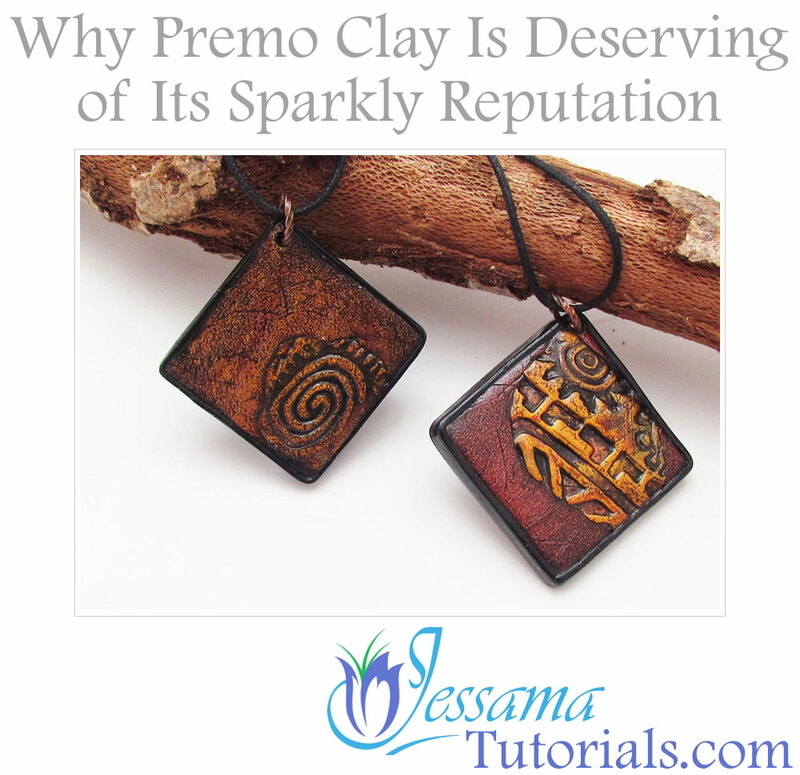 Premo is a great polymer clay to work with and it is one of my favorites. I don’t know what I’d do without it. It is a life saver in winter when some of the other polymer clay brands are just too stiff. Premo complements Kato and Fimo Professional really well and together I’ve used them to create some of my best work yet. In my opinion, this is a must have polymer clay. However, each person has their own preference, depending on their circumstances and the type of projects they like to make. To see which polymer clay will best meet your needs, take a look at my page: Which Polymer Clay Is Best? where I compare the pros and cons of each brand. Do you love Premo Clay? Let me know in the comments below and don't forget to like and share!